New London - The fire department on Monday delivered more than two dozen new winter coats to the Thames Valley Council for Community Action Inc. as part of a statewide effort by the Uniformed Professional Fire Fighters Association of Connecticut to reach out to children in need. The union partnered with the national nonprofit Operation Warm to distribute 350 American-made coats statewide. Local Union President Rocco Basilica said the New London Fire Department was fortunate to be one of the recipients because "we had a need." 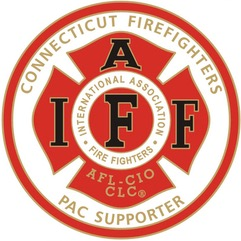 The Uniformed Professional Fire Fighters Association of Connecticut is an affiliate of the International Association of Fire Fighters, comprised of 30,000 professional firefighters nationally. For more information visit: www.iaff.org, www.operationwarm.org orwww.firefighterscoatsforkids.org.